Casino operator Wynn Macau Ltd is pushing to transform its Wynn Macau casino hotel property located on that city’s peninsula, into a venue focused on so-called premium mass players. So said Matt Maddox, chief executive and president of the firm’s parent company, U.S.-based Wynn Resorts Ltd.
“We will be effectively launching a new property at the end of this year for Wynn Macau, that is focused squarely on the business that we believe in for the long term, and that is the premium mass,” he said. Premium mass is an industry term for players betting in high denominations but in cash, rather than the junket- or house-issued credit used by Macau’s traditional VIP segment, where the players also bet using a so-called “rolling” chip system. Business margins for casino operators usually are higher in the premium mass segment than in the high-roller segment. Mr Maddox added: “We will be relaunching an entirely new premium-mass casino experience that is open to the water, three new restaurants, 10,000 square feet [929 sq metres] of additional retail and a new ‘hotel tower’,” the latter a reference to an overall of the Encore tower at the Wynn Macau property. The revamp of the Wynn Macau property (pictured in a file photo) started in July last year. Mr Maddox stated one of the goals was to make casino revenue less dependent on mid-market junket operators, a segment he said was volatile. His comments were made during a Wednesday conference call following Wynn Resorts’ fourth-quarter results announcement. The Wynn group runs two casino resorts in the Macau market via Wynn Macau Ltd: aside from the Wynn Macau casino hotel, it also operates Wynn Palace in Macau’s Cotai district. Mr Maddox also made reference to previously announced plans to add two hotel towers to Wynn Palace. Wynn Macau Ltd reported net profit of US$186.4 million for the fourth quarter of 2018, an increase of 4.0 percent in year-on-year terms. Operating revenues increased by 4.3 percent to US$1.29 billion, negatively impacted by a decrease of US$30.3 million at the Wynn Macau casino hotel on the peninsula, which management said was related to the VIP segment. The unaudited results of the Macau unit were filed on Thursday with the Hong Kong Stock Exchange, and prepared in accordance with International Financial Reporting Standards. “Wynn Macau Ltd reported adjusted EBITDA [earnings before interest, taxation, depreciation and amortisation] of US$394 million (-4 percent quarter-on-quarter, +5 percent year-on-year), was better than company guidance of -10 percent to -20 percent quarter-on-quarter, with the help of a strong December month where mass revenue in Wynn Palace went up 40 percent year-on- year, and it enjoyed very high luck,” analyst Praveen Choudhary, from Morgan Stanley Asia Ltd, wrote in a note commenting on the firm’s results. In Wednesday’s conference call, Mr Maddox said “2018 was a year of transition for our company, and that transition is now over”. That was understood to be a reference to a number of leadership changes last year, following the downfall of the firm’s founder and former chairman and chief executive Steve Wynn, amid allegations of sexual misconduct. The overhaul included the appointment of Phil Satre as company chairman in November, and the appointment of Mr Maddox as chief executive in February. Several of those changes also had an impact on the leadership structure of its Wynn Macau subsidiary. Earlier this week, it was announced that Wynn Resorts and the Nevada Gaming Control Board had reached a settlement regarding a probe the regulator was conducting on the alleged sexual misconduct by Mr Wynn. As part of the settlement, Wynn Resorts agreed to pay an fine, with the amount yet to be determined. In his Wednesday conference call comments, Mr Maddox also dismissed concerns about potential liquidity and debt collection issues for Macau’s junket sector. He mentioned a meeting with the boss of junket investor Suncity Group, Alvin Chau Cheok Wa earlier this month, in which Mr Chau reportedly dismissed such concerns. Also addressing the conference call was Ian Coughlan, president of Wynn Macau Ltd. He said Macau’s ban on smoking inside VIP rooms was still in its “early days”, but added the policy benefited Wynn Palace, since other older properties in Cotai had what he called “grandfathered-in mass-area tables” where smoking had still been allowed until January 1 this year. “Now everybody is operating from the same template and we believe it is a big advantage for us in Cotai in particular, Mr Coughlan said. Up to end-2018, VIP rooms were the only places in Macau casinos that had still been allowing smoking at the gaming table. Tableside smoking ended when new rules on smoking in casinos in Macau came into full effect in the new calendar year. A December report on the casino sector outlook for Macau from brokerage Sanford C. Bernstein Ltd said the new smoking rules were “likely a headwind for the industry”, although a Macau government official this week said local authorities didn’t currently have enough staff to guarantee enforcement of the rules. Operating revenues from casino resort Wynn Palace were US$740.6 million for the fourth quarter of 2018, a 12.8-percent increase in year-on-year terms, Wynn Resorts stated in its fourth quarter announcement. Adjusted property earnings before interest, taxation, depreciation and amortisation (EBITDA) from that venue were US$226.6 million for the period, up by 19.2 percent over the same period of 2017. Casino revenues from Wynn Palace were US$636.9 million for the quarter ended December 31, a 12.3-percent increase from US$567.0 million for the same period of 2017. Table games turnover in VIP operations was flat in year-on-year terms at US$16.16 billion. VIP table games win as a percentage of turnover was 3.25 percent, above the expected range of 2.7 percent to 3.0 percent. Table drop in mass market operations at Wynn Palace was US$1.30 billion, a 15.6-percent improvement compared with the fourth quarter of 2017. Table games win in mass market operations was US$307.4 million, a 16.2-percent increase from US$264.5 million for the fourth quarter of 2017. Table games win percentage in mass market operations rose slightly to 23.6 percent, compared with the table games win percentage of 23.5 percent experienced in the fourth quarter of 2017. Slot machine handle at Wynn Palace was US$1.01 billion, a 9.9-percent year-on-year rise. Slot machine win increased 4.6 percent to US$57.6 million. 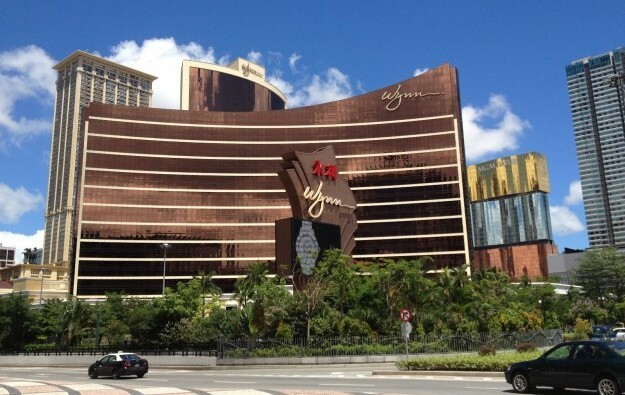 Non-casino revenues from Wynn Palace were US$103.6 million for the fourth quarter of 2018, a 15.7 percent increase from US$89.6 million for the same period of 2017. At the Wynn Macau casino hotel, operating revenues were US$553.4 million for the fourth quarter of 2018, a 5.2 percent year-on-year decline. Adjusted property EBITDA stood at US$167.6 million, a 9.9 percent decrease over the same period of 2017. Casino revenues from Wynn Macau were US$479.0 million for the quarter ended December 31, a 5.9 percent year-on-year decline. Table games turnover in VIP operations was US$12.78 billion, an 18.2 percent compared to the same quarter of 2017. Table drop in mass market operations at Wynn Macau was flat at US$1.26 billion for the period. Table games win in mass market operations was US$255.7 million, an 11.2 percent increase from US$230.1 million for the fourth quarter of 2017. Slot machine handle in the peninsula property stood at US$878.4 million, a 6.3 percent year-on-year decrease. Non-casino revenues from the Wynn Macau casino hotel were flat compared to the previous year, at US$74.4 million for the fourth quarter of 2018.